Anti-coal campaigners scored a surprise victory Friday when a German court temporarily blocked energy giant RWE from razing part of an ancient forest to expand a giant open-pit mine. 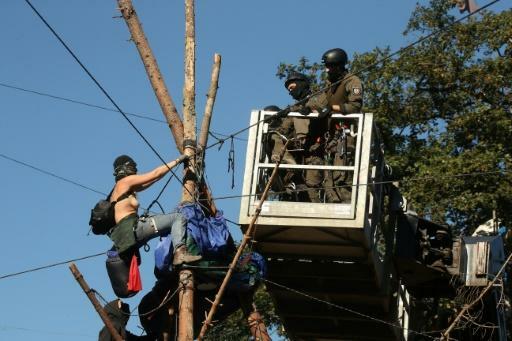 The Hambach forest near Cologne has been occupied by activists for six years but its fate had appeared sealed after local authorities last month ordered police to dismantle protesters' treehouses. In an emergency ruling however, judges at the higher administrative court in Muenster said they needed more time to consider environmental group BUND's complaint against RWE's planned clearing. "This is a good day for nature and climate protection and a milestone for the anti-coal movement," Greenpeace Germany's Martin Kaiser told a press conference. The David-versus-Goliath battle in the forest has come to symbolise resistance against brown coal mining in Germany, a country that despite its green reputation remains heavily reliant on this dirtiest of fossil fuels. The plaintiffs argue that Hambach forest, in the industrial heartland of North Rhine-Westphalia state, is home to rare species like Bechstein's bat and qualifies as a protected area under EU law. Judges said RWE must not create an "irreversible" situation on the ground before they rule on the "complex" case. RWE, which owns the forest, had planned to begin clearing around half of the woodland's remaining 200 hectares (500 acres) from October 15. The company claims the expansion of its adjacent lignite mine is necessary to fuel coal-fired power plants in the region -- among the most polluting in the European Union. RWE said in a statement it did not expect judges to rule definitively until late 2020, adding that the delay would amputate more than 100 million euros annually from pre-tax profits in the coming years. Shares in the group were the worst performers on the DAX index of blue-chip German shares, losing 8.52 percent to close at 18.69 euros in Frankfurt. In a second win for environmentalists Friday, a court in Aachen overturned police attempts to block a mass forest demonstration planned for Saturday. "The court does not share the police's safety concerns," the judges said, adding that gatherings could be banned only if there was "significant danger to life and limb". Dirk Jansen of BUND told reporters he expected thousands to flock to the forest. "We will not let up on our resistance," he said. Sympathy for the forest's plight has swelled in Germany, fanned by unflattering pictures of police in cherrypickers dragging activists out of their canopy homes. Local police said 27 officers were injured during the nearly three weeks it took to carry out the evictions, with some activists throwing Molotov cocktails and stones as well as bags of urine and faeces. Tragedy struck when a freelance journalist covering the events died on September 19 after falling through a walkway between two treehouses. 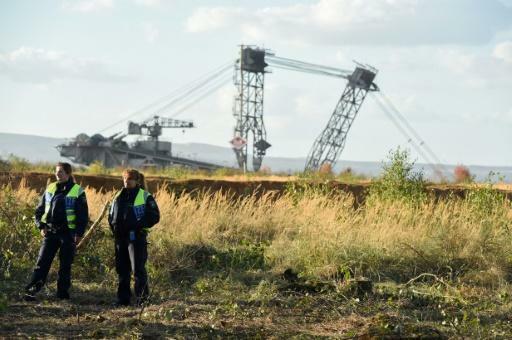 By law, RWE is allowed to cut down trees in the Hambach forest during the annual logging season to dig up brown coal, or lignite, in the ground before burning it to produce electricity. But this it year has run into more resistance than ever before, coming just as Germany debates how to phase out its use of the cheap but polluting fuel. A government-appointed committee is due to announce an end date for coal by the end of the year. 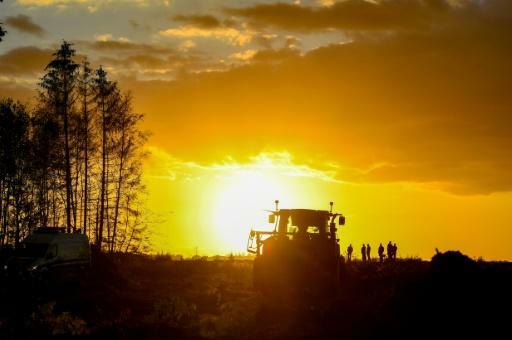 More than 800,000 people have signed a petition urging state and federal officials to use their influence to stop RWE from felling a single tree while the coal discussions are ongoing. Germany has massively expanded renewable energy in recent years as part of a government-ordered shift away from fossil fuels. But coal still accounts for 40 percent of Germany's energy mix, in part to offset Chancellor Angela Merkel's decision after Japan's Fukushima disaster to exit nuclear power by 2022. The government admitted in June that it will miss its own target for reducing carbon dioxide emissions -- undermining Merkel's role as a leading global advocate for the implementation of the Paris climate agreement. Rather than cutting CO2 emissions by 40 percent by 2020 compared with 1990 levels, Europe's top economy expects to achieve a 32-percent reduction.